Left Drainboard Advance Tabco FC-2-1620-18 Two Compartment Stainless Steel Commercial Sink with One Drainboard - 52 1/2"
Wash and rinse dishes simultaneously with the Advance Tabco FC-2-1620-18 two compartment stainless steel commercial prep / utility sink, which includes a drainboard for drying! 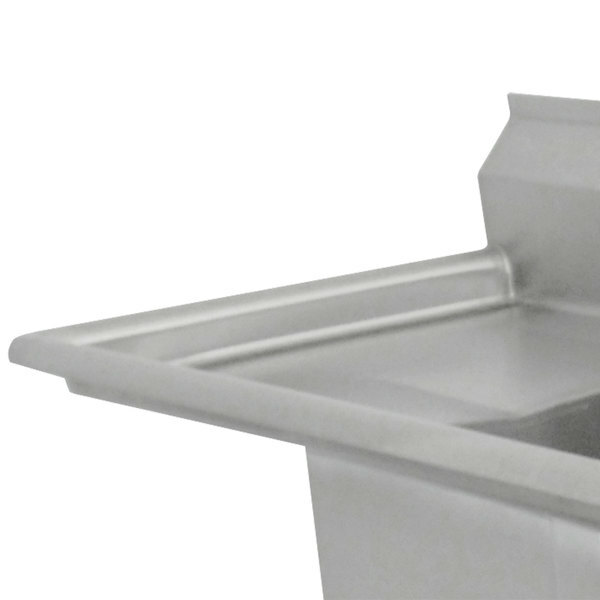 The dual 16" x 20" compartments feature coved corners for easy cleaning and a 1 1/2" IPS drain for optimal drainage, while the 14" bowl depth makes it easy to clean meat and vegetables. 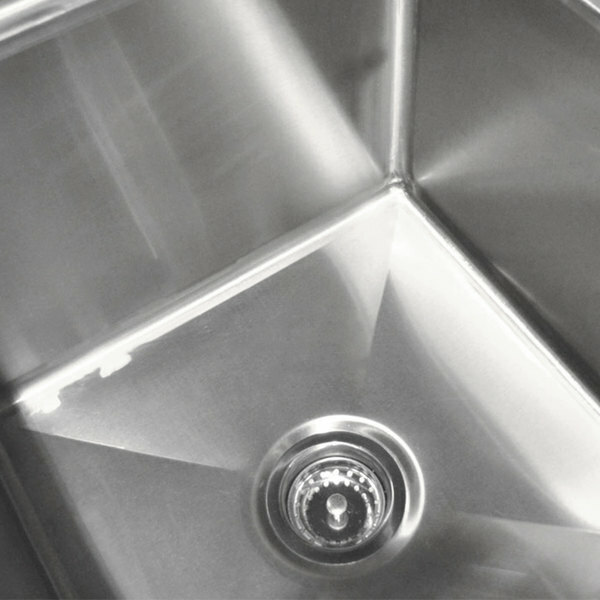 This durable sink is made of 16-gauge type 304 stainless steel to help prevent corrosion and give you a long-lasting sink option! 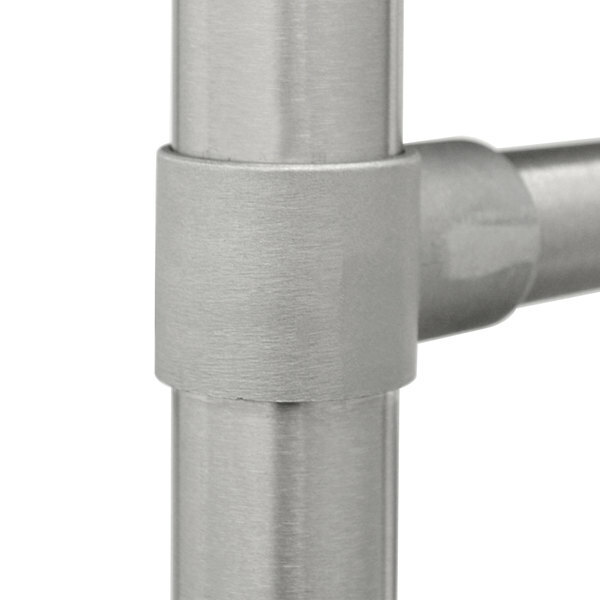 The sink stands on four 1 5/8" diameter stainless steel legs with 1" adjustable bullet feet to provide great versatility in any kitchen. An 8 1/2" backsplash comes standard to help protect your walls, and it includes one set of holes punched on 8" centers to accommodate a faucet (sold separately). 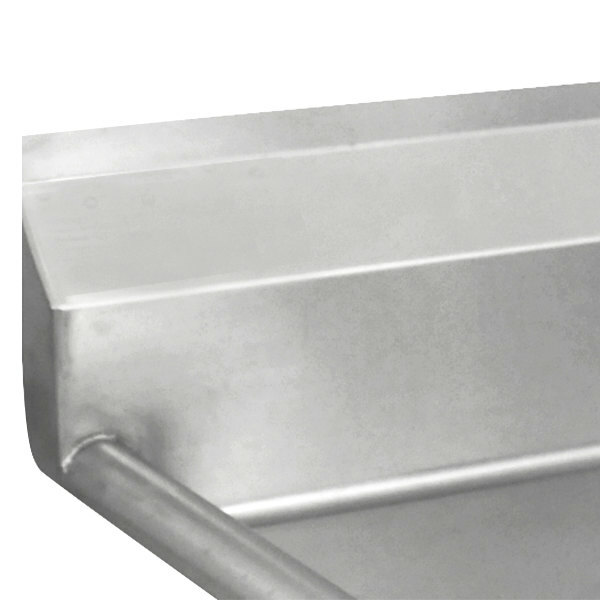 The single 18" drainboard provides extra space for drying dishes or prep work during everyday use. Its 1 1/2" rolled rim edges help contain spills and overflow associated with everyday use! 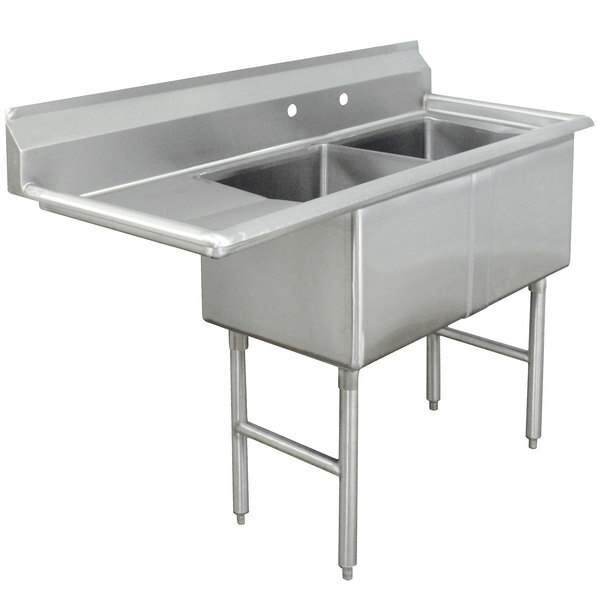 Left to Right: 52 1/2"
Advance Tabco FC-2-1824-24 Two Compartment Stainless Steel Commercial Sink with One Drainboard - 62 1/2"